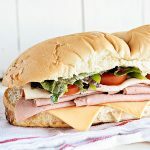 The Dine & Dish Weekly Menu Plan plus a great game day recipe for a Hero Sub Sandwich with super simple sauce! This recipe proves that sandwich night doesn’t have to be boring! Can we talk about bologna? We can? Good. I have to get something off my chest. So…I love bologna. Bologna seems to fall into 3 categories. 1 – people who love it. 2 – people who hate it. 3 – people who just want to ask you “do you know what part of the pig bologna comes from?”. For the record, I don’t want to know, but thank you. I don’t love bologna in an eat it every day kind of way. I love bologna in a nostalgic, sandwich from my childhood on Wonder bread and American cheese kind of way. I remember specific events that happened in my life and when I think back I was often holding a smooshed bologna and cheese sandwich on white bread in my hands. We even had a fried bologna and cheese type sandwich on our school lunch menu. Can you imagine Michelle Obama allowing that now? 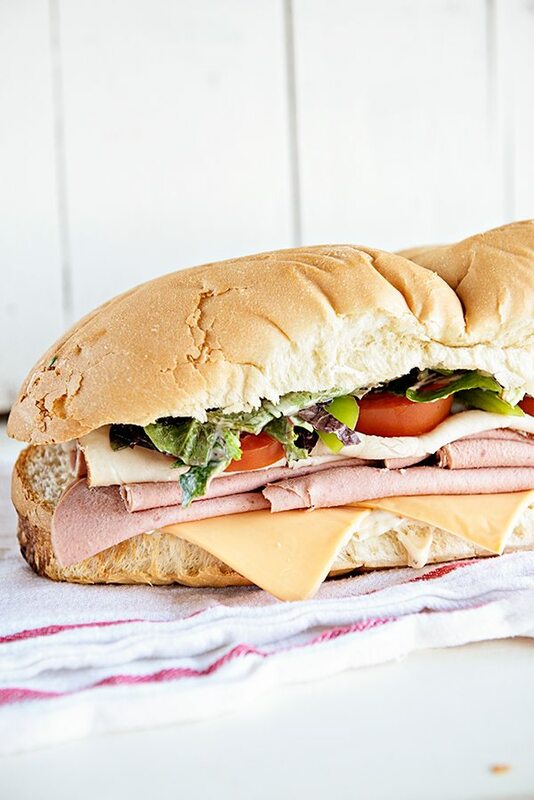 Anyway – the “recipe” I’m sharing today isn’t really about bologna, although I think a Hero Sub Sandwich isn’t complete without some really thinly sliced bologna. If you fall into category 2, then you could choose any combo of lunch meet you’d like. Ham, roast beef, turkey, salami, etc. The real secret to this sandwich is the super simple special sauce…stupidly simple but it turns a Hero Sub into more than just a sandwich. It’s a “Hey, look… I put some effort into this sandwich so I can feel good about serving it at our next game day party” kind of sandwich. 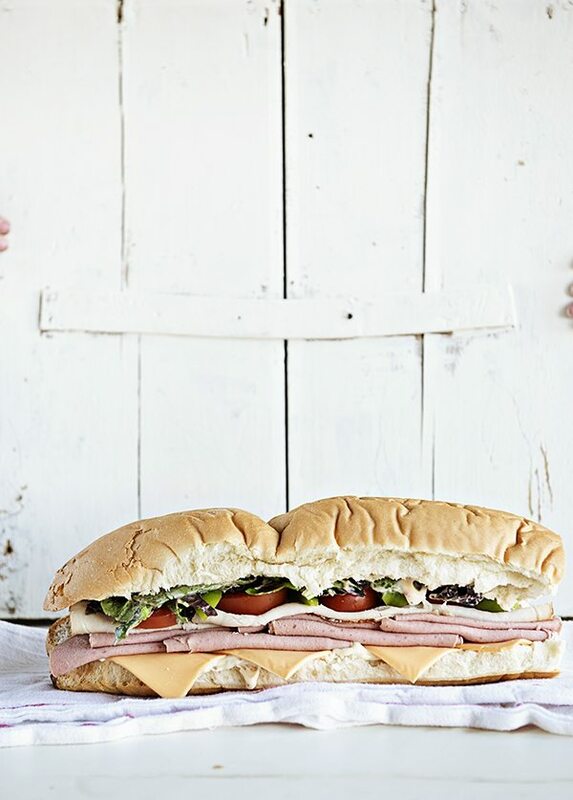 Sandwiches, my friends, don’t have to be boring! You can see the recipe below our weekly menu plan for the week. Now, on to the menu plan! Make sure to link to your menu or let me know what you are serving this week at your house. I can always use inspiration for future weeks! Sandwich night doesn't have to be boring! 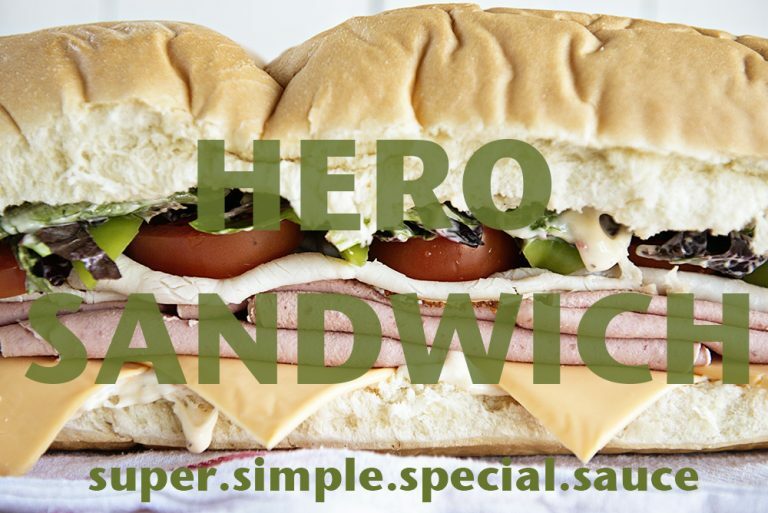 This sub sandwich is simple yet made extra special with a tasty simple sauce. Adapted from Food.com. Mix together the mayonnaise, Italian dressing and hot sauce. Toss the salad greens with 1/4 of the prepared sauce. Brush cut sides of bread with remaining dressing mixture. Fill bread with cheese, meat, tomatoes, peppers, and lettuce. Slice into 8 equal slices crosswise and serve. Now that is my kind of sandwich!! and FTR….I’m a bologna lover too! Thank you! Oh I blew it this weekend so have no choice but to get back on the wagon this week! This sandwich is anything but boring!! And the “special sauce” pretty sure I could slather that on anything. 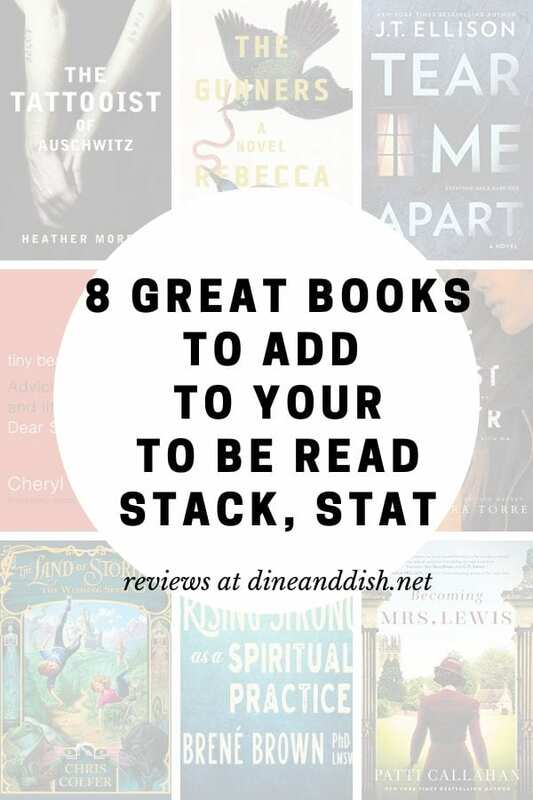 Thanks, Nicole 🙂 Same here – it’s so good! Love getting menu ideas like this…. Pinning this to use with next week’s menu. The Shrimp Fried Rice and Potato Soup are two sure bets. PS ~ Beautiful pics of your recipe…. Happy monday! Oh good – I’m glad you found it helpful! I hope you are having a fabulous birthday! I can’t wait to try your shrimp fried rice! My dad used to call them Dagwood sandwiches, after the Dagwood and Blondie cartoons. The higher the sandwich the better! I’m a huge sub girl. It’s a craving I have pretty often. Your’s looks so so good…and I love the special sauce! Oh see – we had something like mortadella with green olives in it but I don’t remember it being called that. It was sooooo good! This looks so amazing. Can you bring me one for lunch???? My husband was soooo one of those kids with the smashed bologna or salami and cheese sandwich. Bologna lover here. Same thing though…..not always, but when I want it, I want it! And my sammiches were always smooshed! Actually, truth be told, the day after Thanksgiving I go out and buy a brand new loaf of Wonder Bread because a left over turkey sandwich on Wonder Bread is pure Heaven!! And this sandwich sauce looks amazing. New addition to my Super Bowl menu! for snacks—-duh. I like it. Thank you! And can’t forget the special sauce that makes this one delectable.